Twitter's wings about to get clipped? 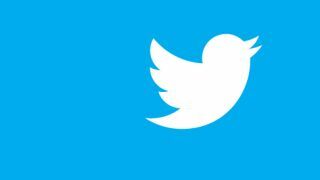 Twitter has become the next in a long line of internet giants to criticise the UK government's proposed communications bill, saying that it will force it to break laws in other countries. The bill wants every UK citizen's every web move documented and kept on file for a year on the off chance that some of them will have broken the law. Twitter says that, if required to keep tabs on every British user, it can't guarantee that it won't accidentally collect data on non-UK citizens, leaving it vulnerable to legal action from people in countries whose governments trust them a little more. It also obliquely raises the question: what level of data privacy protection should UK residents be demanding? The social network raised its concerns in a document on the draft communications bill which is provided to the Commons and Lords committee overseeing the bill. Twitter's diplomatically worded submission says, "We would be interested to understand what consideration was given to issues of proportionality in the drafting of this provision as well as some cross-jurisdictional challenges which may arise. "This has the potential to place us in a legally untenable position with respect to privacy, data retention and data protection laws elsewhere in the world." The micro-bloggers also added that the UK should be aware of the example it is setting to other, perhaps less democratic freedom-minded companies around the world. It hinted that countries it wouldn't be outlandish to imagine a country that's not so hot on the old human rights implementing a similar plan. "While it is one thing for a government which has incorporated the European Convention of Human Rights into domestic law to seek to assert authority over overseas companies, it would be of quite a different order for the government of a less democratic country to seek to exercise similar powers. "In such a case, however, there is a risk that the standing of the UK government and UK companies in resisting such data collection from its own companies could be significantly diluted. "Indeed, many dissidents abroad, such as Michael Anti in China, count upon Western democracies to lead by example and to pressure their own governments to uphold essential internet freedoms." The implication being, of course, that this draft communications bill isn't brilliant for web freedom – a view shared by Jimmy Wales, Sir Tim Berners-Lee and other out-spoken web commentators.